In 1943 Wandin was a small rural town of one thousand people, two state schools, a general store, a blacksmith and a train line passing through town. 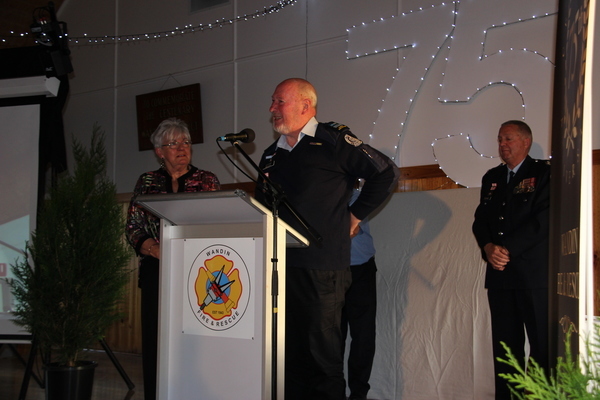 That year the Wandin Fire Brigade was formed and on 10 November a dinner was held to celebrate its 75th anniversary. 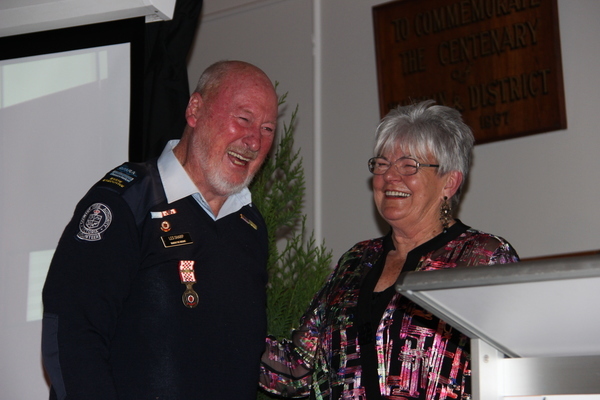 The history of the brigade is built around two main foundations – the commitment of the Wandin community and the presence of Les Sharp, aka The Oracle, who has been there since 1958. 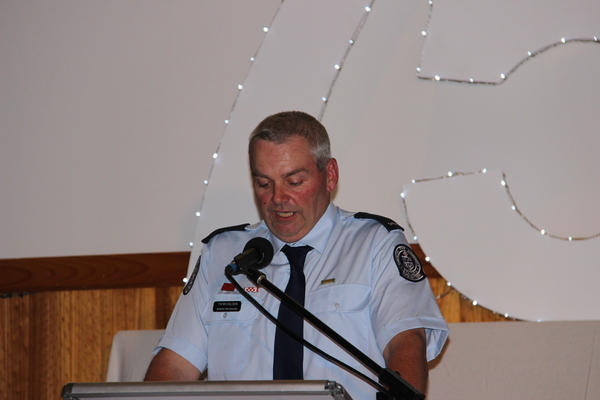 Brigade Captain, Tim Michelson, opened the dinner with a potted history of the brigade. 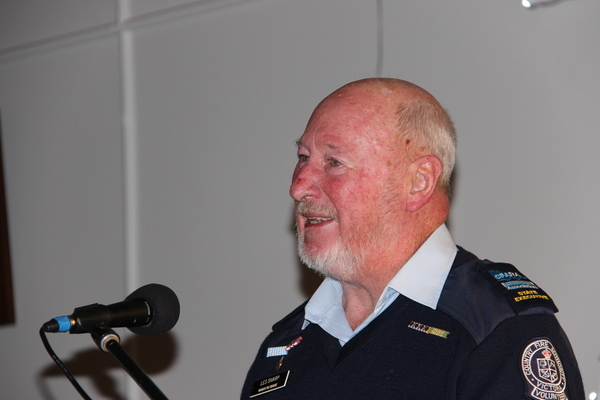 He spoke about how the brigade has always been there for both Wandin and other regions, both in Victoria and interstate. 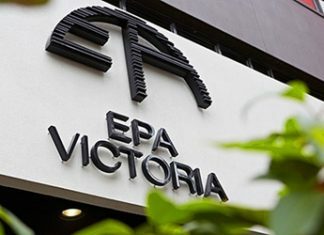 Some of the milestones along the way have been the 1962 Christmas Hills and Dandenongs fires,Hurstbridge in 1969 and Ash Wednesday in 1983. “On Black Saturday in 2009 Wandin was instrumental in saving lives and property across the Yarra Valley,” he said. With growing numbers of cars came increasing accidents, which lead Wandin to set-up a Road Rescue Unit in 1963, in spite of opposition from both the CFA and Government. 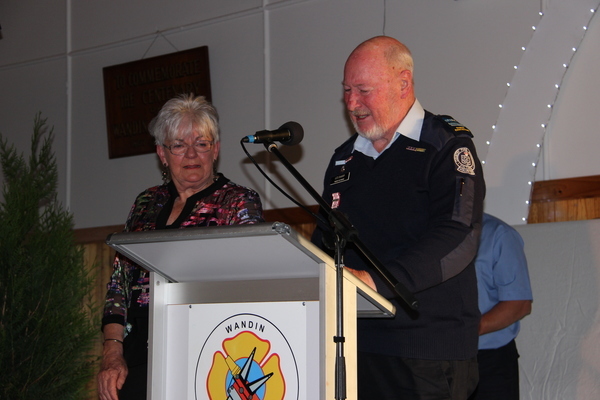 Les Sharp then came to the stage, accompanied by his wife Nola, to accept his award for 60 years service.